Research undertaken by scientists at the Universiti Teknologi Mara has revealed that teens as young as 15 in Kuala Lumpur, are consuming alcohol. The study, entitled Alcoholism among youth in Kuala Lumpur, indicated that almost half the respondents aged 15 to 24 had consumed alcohol, with 28 per cent of the group aged only 17. Far from being a passing issue, the consumption of alcohol, especially in large amounts, has serious long-term consequences, with another important study showing that heavy drinking during adolescence changes the structure of adolescents’ brains. The second study mentioned above, carried out at the University of Eastern Finland and published in the journal Addiction, used magnetic resonance imaging to observe the brain structure of young, healthy adults who drank heavily and who had consumed large amounts of alcohol in their adolescence, comparing their results with those of similarly aged adults who were not heavy drinkers. Three cross-sectional studies were undertaken on participants over a 10-year period (in the years 2005, 2010 and 2015). At the start of the study, participants were aged between 13 and 18. All participants had one thing in common: they were all good students, and there was no substantial difference in mental health issues between the two groups. Although the ‘drinking group’ indulged in alcohol frequently, none of them were considered to have an alcohol addiction disorder. The magnetic resonance results showed big differences between the two groups. Those who drank heavily had less grey matter volume in two parts of the brain: the anterior cingulate cortex and the right insula. The former plays an important role in controlling impulses, and when its structure is changed, there could be a greater risk for substance abuse. Changing the structure of the insula, meanwhile, may signify reduced sensitivity to the negative subjective effects of alcohol, which also increases the chance of substance abuse disorders. The researchers concluded that drinking heavily during adolescence disrupts the process of maturation, which occurs during one’s youth. It is not known how this occurs, and it has been suggested that some negative changes to the brain structure might be reversed if alcohol consumption is reduced. The problem with youth drinking is that although teens generally drink less frequently than adults, when they do, they consume larger amounts. 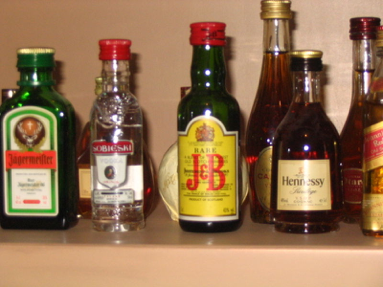 When youths go out, they consume in the region of five beverages in a single night, which amounts to binge drinking. The latter can lead to hospitalisation, and even death. Heavy drinking can also lead to risky behaviours, which can lead to the spreading of disease and can increase the risk of accidents on the road, falls, burns, drowning, etc. Drinking can also affect other aspects of a youth’s life, decreasing their academic performance, increasing the chance of teen pregnancy and STDs, and affecting relationships with friends and family. Experts in the field note that the most important influences which can push the youth to drink, include family, friends, schools, community and society at large. At this point in their lives, they can be more prone to taking risks and feel a need to assert greater independence from their parents. Youths can also drink to evade the stress of juggling several demands (including academic and social obligations). Those with family problems are at a higher risk for alcohol use, as are those with authority figures battling alcohol or substance abuse problems. Specific behavioural problems also tend to increase the risk of alcohol use in the youth. These include delinquency, being overly impulsive, and having a strong desire for new, intense sensations. Families can work together to prevent youth alcoholism by maintaining a strong bond with their children. Limits should be set, yet communication should be encouraged. Schools and the community should also work to battle youth drinking by increasing awareness and sending the message that underage drinking has serious consequences for one’s health and future. Youths should be provided with alcohol-free places where they can meet and enjoy themselves and help should be easily accessed by any youth who fears they may have a drinking problem. www.sciencedaily.com, Alcohol consumption during adolescence is associated with reduced grey matter volumes, accessed March, 2017. Recovery.org, 7 Awesome Ways to Turn Down Alcohol, accessed March, 2017. TheMalayMailOnline.com, Many start drinking at 15, study reveals, accessed March, 2017. This is an article by Helen Newman.